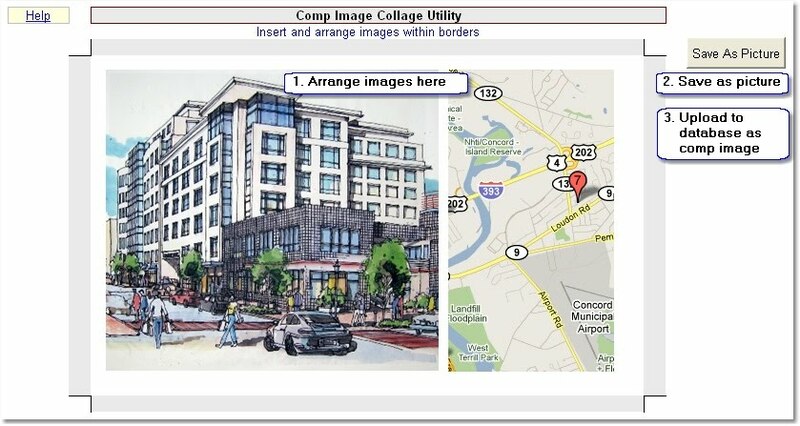 This utility is for combining multiple comp images into a single comp image. (Added July 12, 2010). This worksheet is at the back of the N1Appraisal.xls workbook and also as a stand along file in the Narrative1 Utilities menu. Start > Programs > Narrative1 > Narrative1 Utilities > Comp Image Collage. Tip: Use the Picture Toolbar to crop and edit images. Use the Drawing Toolbar to annotate images. Tip: Get a quick location map with Narrative1's Google Map feature.